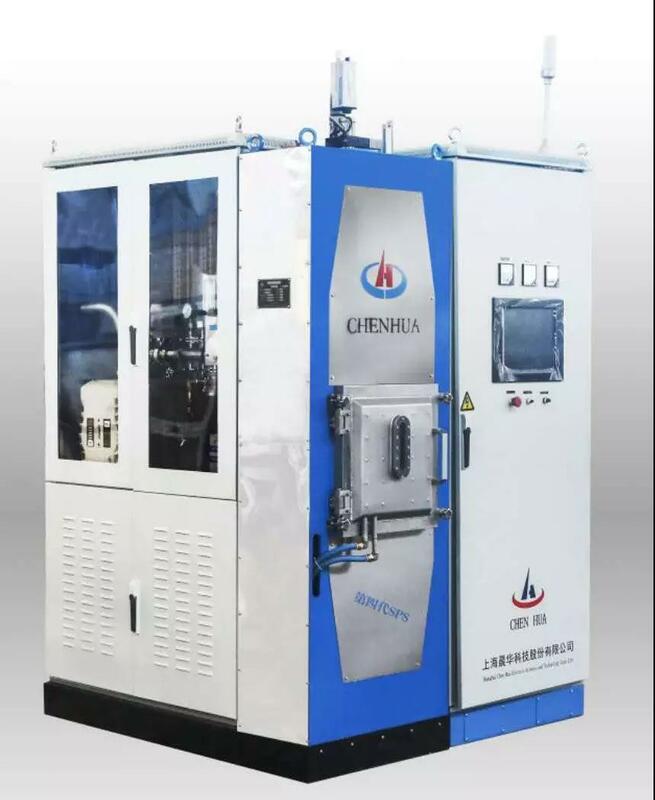 -4th generation spark plasma sintering furnace using microcomputer controlling digital pulse power, controlling cabinet integrated with furnace, top pressing, irrational structure, simpler to operate. -The furnace can adopt molybdenum wire, tungsten mesh or graphite as heating elements with stainless steel furnace shell. Less using space, simple to operate and move it. -The furnace can adopt molybdenum wire, tungsten mesh or graphite as heating elements with stainless steel furnace shell. Lateral furnace door, easily loading & unloading. PLC plus touching screen, easier to operate. -The furnace adopts molybdenum belt, or graphite rod as heating elements, just for producing metallic, inorganic nonmetal material under the condition of vacuum and protective atmosphere. -The furnace made from the steel of pressure vessel, with the operational mode of PLC plus touching screen, easily to operate. Mainly used for special ceramic materials heated and being sintered under the condition of high temperature and atmosphere pressure. Shanghai Chenhua Science Technology Cor. Ltd. (the former Shanghai Chen Hua Electric Furnace Co., Ltd.) with RMB 5 million registered capital established in Jun. 2003, is Shanghai Hi-tech Innovative Enterprise which specializes in producing industrial electric furnace. Nowadays it owns 38 million fixed assets and 90 employees. Headquarters lies in Huangdu Town Shanghai, two subsidiaries respectively are Zhejiang Chenhua Technology Co., Ltd. and Shanghai ChenAn Electric Furnace Co., Ltd. ISO9001: 2015 Quality System certified. Annual production capacity is 200-300 sets of vacuum furnaces and other high temperature equipments.